I hope you are having lots of fun with the other babies in Heaven. I imagine it is you staying near to your Mummy that gives her the strength to be the inspiration she is to so many. Many many times you have probably held your Mummy's hand during the dreamtime and assured her that you are only a sleep away, just not in this Earthly-world. You are a special soul indeed, who touched so many in such a short time. Your smile lights up the blogging world like your star lights up the sky. 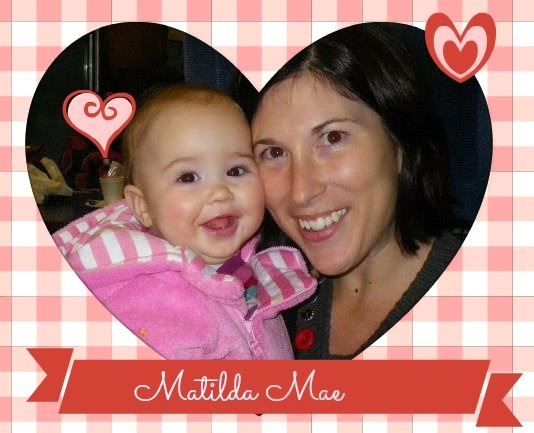 Today your Matilda Mae badge comes out to play. People throughout the Facebook and blogging community are using it as their avatar. Us remembering you keeps your Mummy warm, as she knows that although you are lost to this world (only this world) she never ever wants you to be forgotten and we all pledge that we won't. As for me, I was a bit slow on the uptake this time last year, and for that I want to apologise. This is one of the reasons for this letter. You see, you entered and left this world on the 2nd of the month. Born 2nd May 2012, said goodbye 2nd February 2013 at the tender young baby age of 9 months. My birthday is 1st February. So last year, I was a bit caught up with my birthday (there was a good reason, it was the MUCH anticipated big 4-0 that I dreaded - yes I was 40 last year) and then I was busy getting ready to head off to Brighton to spend a few days with Anya. I don't have Facebook or Twitter on my phone, so I was delayed in receiving your news. The news that shook the world of so many, who could not comprehend that such a shocking thing could happen. While I was at Anya's house we didn't spend any time on social media. At one point she did check her Facebook, and she did tell me, but it was too shocking to comprehend. Anya is a healer you see, and during my time there was healing me. I was so caught up in my own emotions, the news of your passing floated above my consciousness but did not at all register. 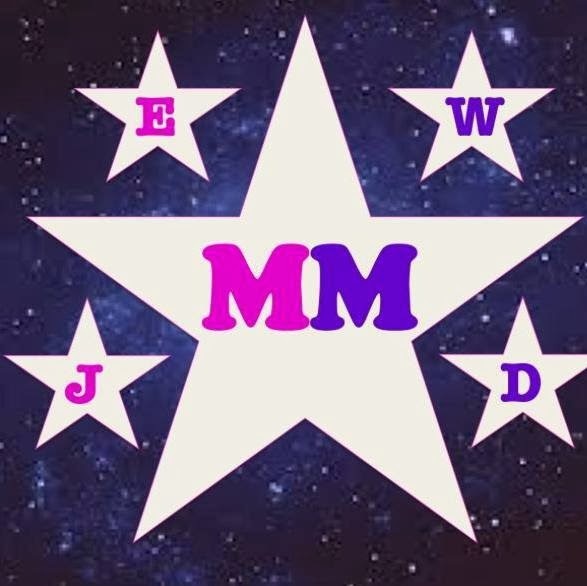 In the days after, I would hear the odd whisper, but it was only later when I wrote a poem: In Memory of MM, that I cried the tears others had cried so much much sooner. I am so sorry I did not grieve for you, or say goodbye as early on as I was meant to, but I do watch out for your Mummy, and read so many of her updates. I send her love, light and healing whenever I feel her energy close. When I met her at BritMums Live and when we met the Gruffalo at Westfield Stratford for Save the Children, I could see what a radiant strong woman she is. I know she does not feel strong, but one day she will realise that she is. Sometimes some of us don't say anything on social media as we know in our heart of hearts that we are not strong enough to carry the burden she carries. We are in awe of her. Her honesty, her transparency and the rawness of the pain she carries - pain that I hope will lessen in time. The one truth in this world is that time heals, however much we think it won't. We can't say we don't know how she is feeling, as we do. How? Why? Because, she writes so so so eloquently and from the heart on her blog: Edspire. She describes every emotion that you have made her face. You did that Matilda Mae. You took away your Mummy's heart, but you left her with a bigger one. It may be broken, and tender and sore, but it is huge. It gives her the strength she does not know she has, and gives her the radiance that shines so bright, that everyone sees and feels upon meeting her. I know she is too humble to recognise this description of herself but one day she will. This journey will reach a destination, where she will realise what her role in all of this has been. There is a circle of life. We all celebrate the births. We are not so good at celebrating the deaths. Especially when it is one that came too soon. Far far too soon. But who are we to argue with God's way. It may be that you and your Mum made a soul level agreement that your incarnation would pan out this way. Maybe your life's work was to be achieved in ever such a brief encounter. You certainly have left a legacy, and touched so so many people. "Oftentimes a soul will agree to reincarnate and return very, very quickly knowing that its purpose was to help the spiritual evolution of all involved with its earth birth and death. This is oftentimes a spiritual lesson for the little earth soul as well". I am not going to delve further, as I still on some levels can't comprehend the loss of one as beautiful as you. You've raised awareness of these losses. You may even prevent another. We'll all always remember you. Thanks to the power of the internet your smile regularly touches so many. So on this day 2nd february, I say hello and goodbye. Shine extra bright tonight. Hold your Mum's hand extra tight tonight. Don't forget Daddy. Never forget Daddy he's hurting too. Sleep tight beautiful girl. Your incarnation was a brief one, but so so special.